According to Miguel Alamilla, Biologist and Manager of Hol Chan Marine Reserve, the Ambergris Caye Marine Turtle Program has recovered several stranded turtles with the assistance of the public. “The weather conditions, especially the strong northeasterly winds, is bringing these turtles closer to land, and eventually can wash the smaller turtles to shore,” commented Alamilla. He added, “When they come to us, the turtles are observed, rehabilitated and after they make a full recovery, we put them back into the sea.” So far the turtles have shown signs of fatigue and dehydration. Alamilla could not say how many stranded turtles have since been recovered, but confirmed that of all the rescues, one turtle was found died. 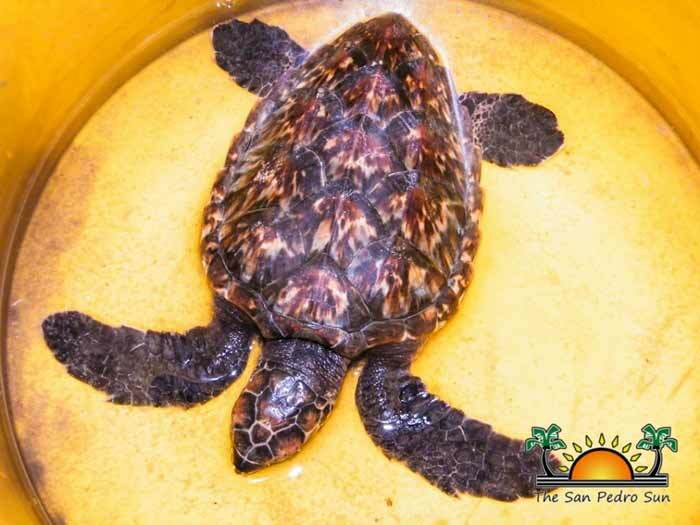 In addition, a juvenile Hawksbill turtle was found on the beach near Banana’s Resort on Friday March 28. That turtle was diagnosed dehydrated and tired, but is happily making a full recovery. In 2013, nine stranded turtles were recovered, one of which died. Residents are encouraged to report any stranded turtle to the Hol Chan Office at phone number 226-2247 or email [email protected] The selling or trafficking of any sea turtle can constitute an infraction that can result in a fine of up to $1,000 and up to one year imprisonment.